This is a standard kit for all billiard table. 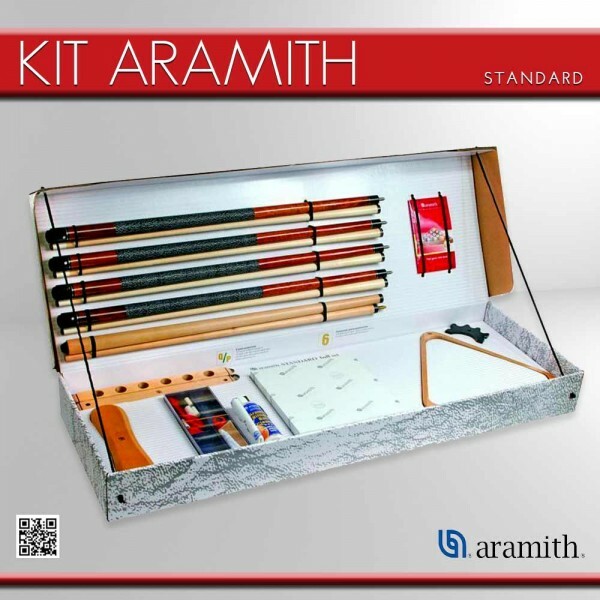 One cleaning billiard ball liquid Aramith. Four pool cues with linen disassembled with two piece. One bridge cue with plastic bridge. A wood cue rack 6 piece. a kit of cue repair and maintenance for shafr ferrule and cue tip.